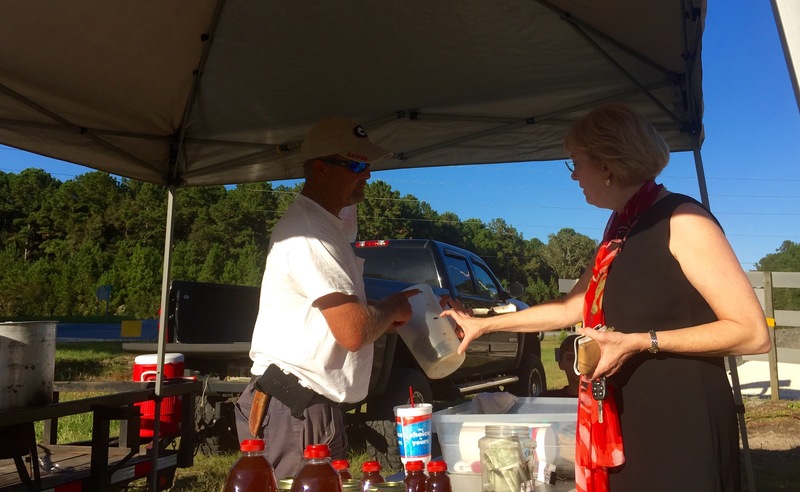 On the way back from a family gathering this weekend in Bluffton, South Carolina, we drove past a stand selling boiled peanuts, one of the south’s classic roadside treats. We circled back and were greeted warmly by a guy that called himself “Georgia Boy.” Georgia Boy’s real name is Sam, and his eleven-year old son Trevor was along to help, as well. So it turns out that Sam is actually from Florida. How a guy from Florida can call himself Georgia Boy and be selling peanuts in South Carolina, I just don’t know–but he did sell us some pretty good peanuts. 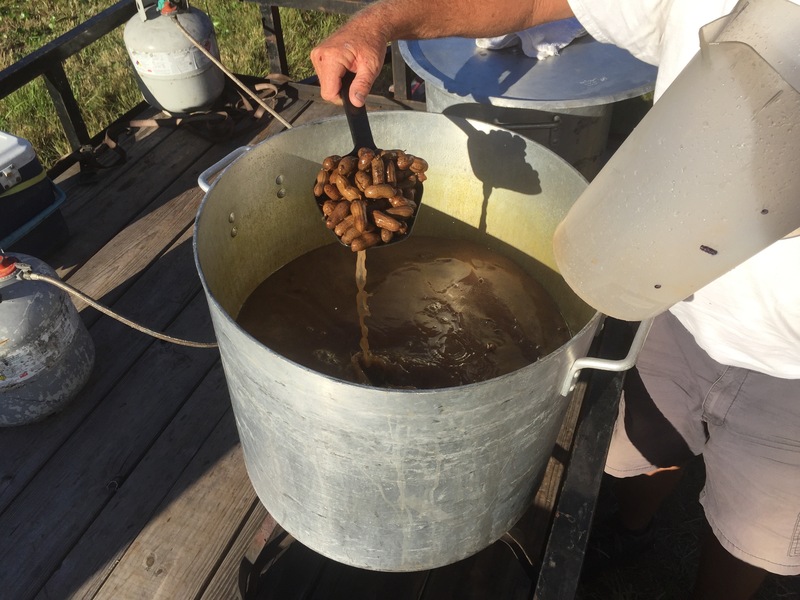 If you aren’t acquainted with boiled peanuts, they are typically green peanuts that are boiled for 8 to 12 hours until they are soft and salty. They are easy to shuck and have a much mellower taste than roasted peanuts. 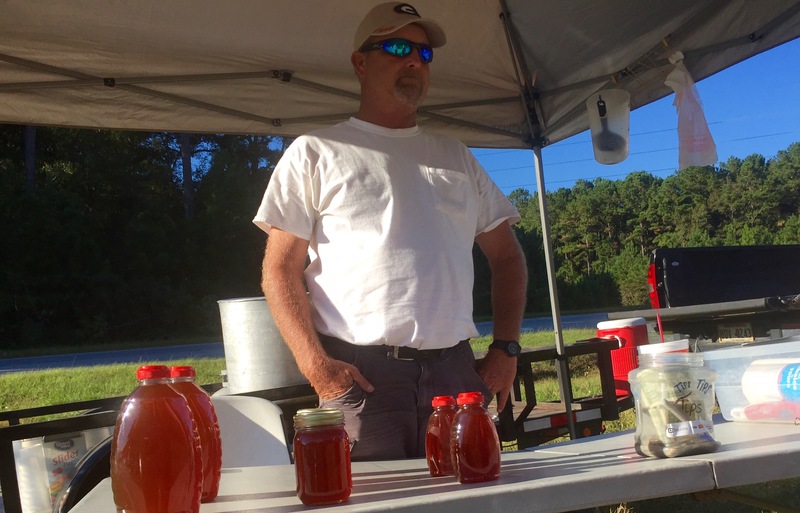 For generations, country roads in the south have been dotted with stands run by friendly folks like Sam and Trevor, waiting to serve you up a pint or a quart or a gallon. For me, the smell alone is a ride right back to childhood. 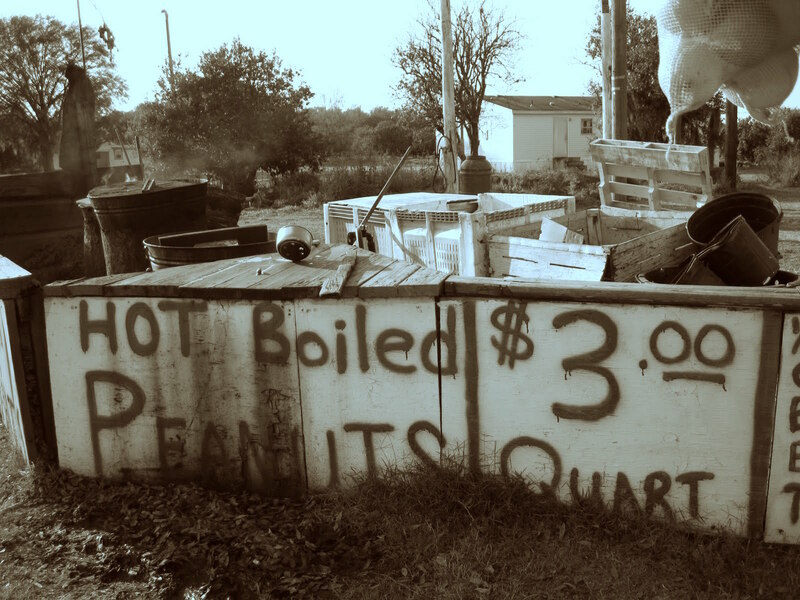 I lived in the south for a few years as a kid, and one of the constants of family road trips was a recurring conversation between my dad and mom that happened almost every time we drove past a boiled peanut stand. It was the quickest negotiation on record–generally occurring in the space of a few hundred yards, even while going 50 miles an hour. The stands themselves were often pretty sketchy—a public health inspector’s dream, probably. But the experience was always positive and it generally went like this: a friendly conversation, a brief negotiation, a slotted spoon dipped into a huge pot, a paper bag filled with warm wet peanuts, and smiles all around. 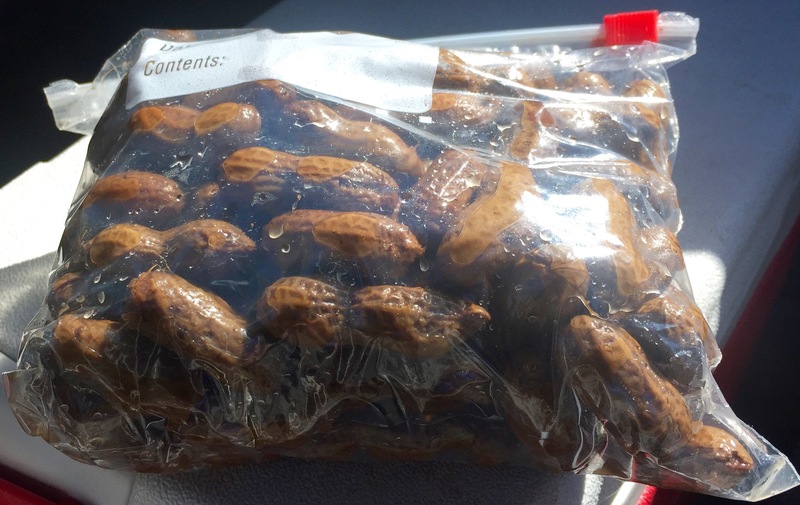 Once back on the road, my dad would dump a handful of peanuts in his lap and drive with one hand while popping shells and tossing the empties into an overflowing cup holder. 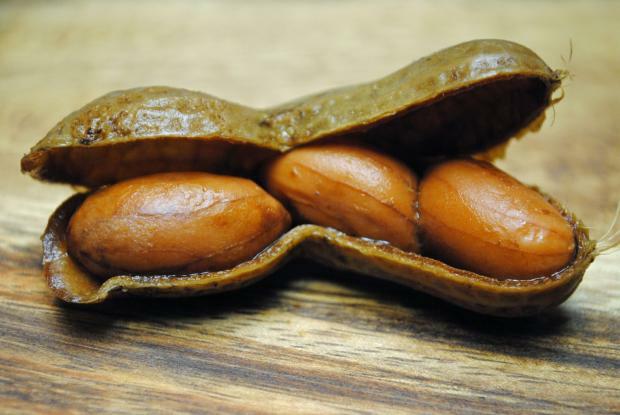 My siblings and I would share the remaining peanuts in the now-soggy and sometimes disintegrating paper bag, often dumping the empty shells out of the open windows in between the passing pick-up trucks (certainly bad form by today’s standards). Nowadays, the paper bags have been replaced with sturdy plastic ziplocks–but that’s about all that’s changed. 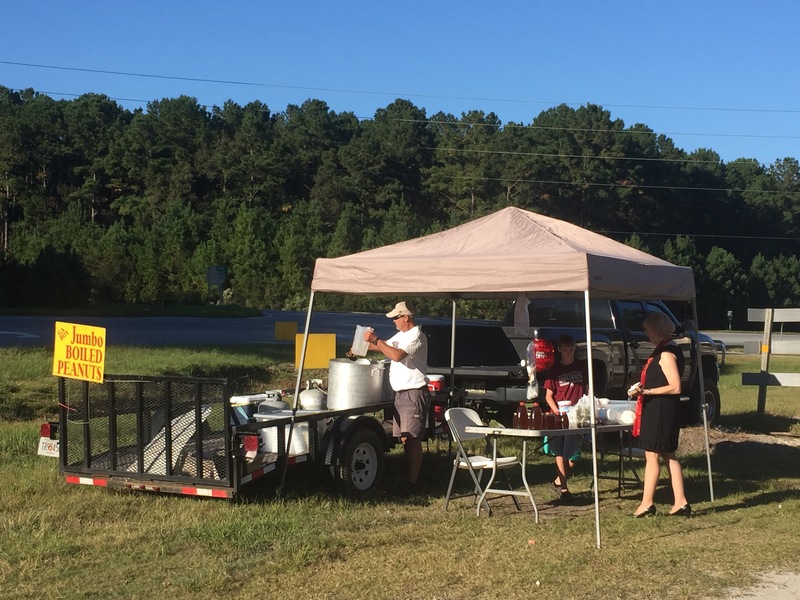 It’s the same chance to make a snap decision at 50 mph, the same soft and salty treat, and the same little slice of southern culture. It turns out Sam was right.